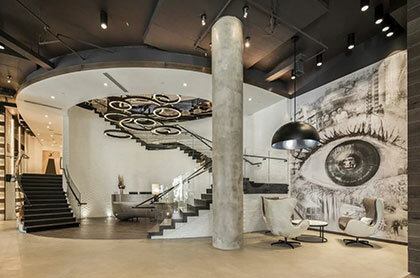 Luxury apartment building in Reston, VA, incorporates art into its design. Co-developed by the Bozzuto Group and Chuck Veatch and designed by KTGY Architecture + Planning, the apartment building at 11410 Reston Station Blvd. was designed with an entry plaza to showcase an art installation.